Shine Together is an organization dedicated to celebrating and amplifying the awesome impact women have every day while simultaneously creating measurable opportunities for them around the world. 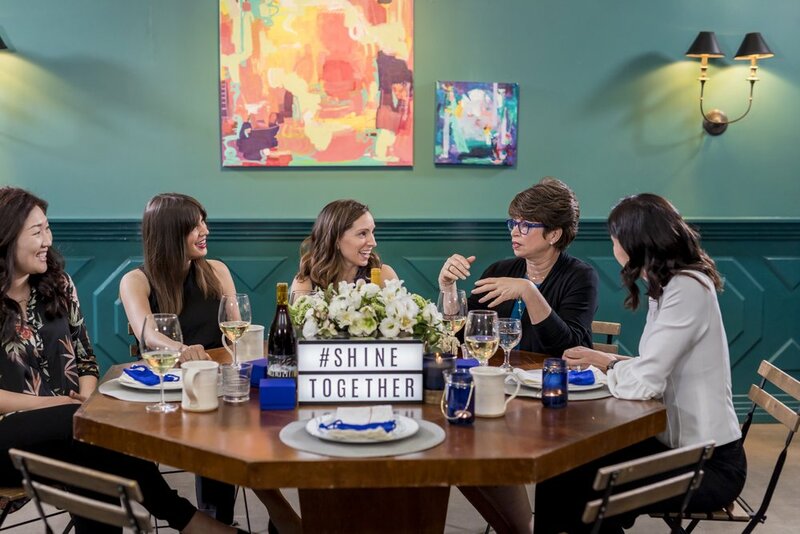 We believe storytelling is among the most powerful tools for change - so our #ShineTogether series showcases everyday heroes accomplishing extraordinary things and provides a platform to shine on and celebrate one another. We believe a combination of genuine mentorship and meaningful networking can fundamentally change a woman’s life and career - so we’ve committed ourselves to providing access to these crucial ingredients with high-impact community events. We believe in touching real lives with more than words - so we dedicate resources and funding to organizations that provide opportunities to women and girls around the world. Shine Together was deeply inspired by Valerie Jarrett, the Former Senior Advisor to President Obama. In this conversation with Leah Busque, you'll hear Valerie's motivating story on how she implemented the concept of shine theory during her time in the White House. She shares some shine truths, including, "Shining works everywhere" and "You are simply more productive when you feel like people are rooting for you." Valerie is here to #ShineOn Jordan Brooks (@jbrooks_usow), Director of the United State of Women. 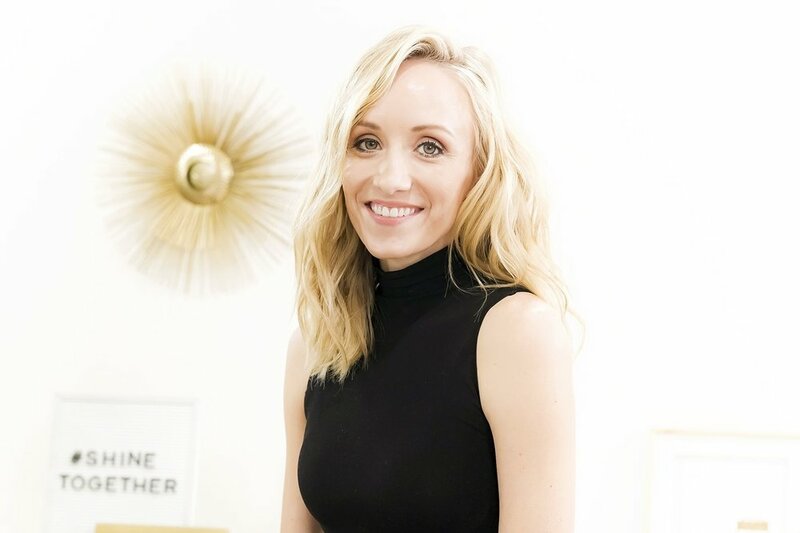 As a five-time Olympic Medalist, Nastia uses her story to encourage young women to turn their own dreams into reality. A serial entrepreneur, Selina co-founded Evite and was the President & CTO of SurveyMonkey. She's currently running Gixo, an app for live fitness classes. Selina is here to #ShineOn Elena Verna, former SVP at SurveyMonkey. Ann is here to #ShineOn Stephanie Schatz (@she_travels), SVP of Sales at Xamarin. Who inspires and motivates you? Who is doing amazing things every day? Share their story with the hashtag #ShineOn. We'd love to shine on them.